Aviation oils intended for aircraft engines in regular operation are formulated with unique additives and have increased performance characteristics. After being properly broken in, aircraft engines profit from lubrication that is absent of ash. These oils are sometimes referred to as Ashless Dispersants, or AD oils. 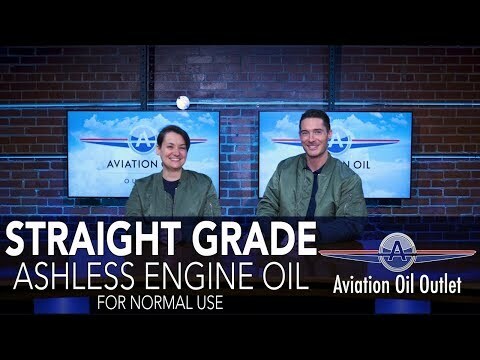 When cleaning the internal components of aircraft engines, these oils clean up ash and burnt debris – prior to the introduction of AD oils, aircraft engines would be much more inclined to experience engine failure due to spontaneous pre-ignition. Suspended particles are ejected through the oil filter instead of causing potentially dangerous harm. These oils are single-grade, mineral oil-based lubricants with unique additive packages that add to the outstanding lubricative and purgative features. Internal wear becomes less frequent due to the high viscosities and high film strengths of these oils. When operating in a normal capacity, it is recommended to change these lubricants at least after 50 hours of flight or four months in storage. Metal debris needs to be frequently flushed out of these engine components in addition to unwanted acid pollution. The petroleum-based formulations of these oils make them unique in the lubricants industry due to the often preferred synthetic fluids. Deciding which weight and brand to implement in your aircraft may seem overwhelming – please call us at 1-855-899-7467 if you are having any trouble.